Long-term Rental Saves You Big Money! Rent a car for long-term and get cheap rates on monthly basis. The best deal on monthly SUV, Minivans and Trucks is when you rent for 3 months or more. It’s simple: we take our very low monthly rate and give you deeper discounts which you will not find anywhere else. 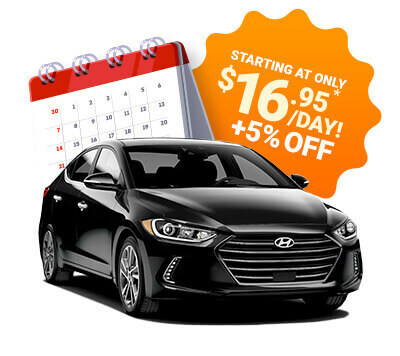 This extra discount are not published online and can range from (5 to 10%) depending on the volume of vehicles, the type of vehicle, the length of the rental, availability and seasonal factors. Either way, you will save on your long-term or short-term rental cost> You won’t find a cheaper price anywhere – Guaranteed! Who is Long-term Rental good for? Many of our clients opt out of Leasing a car altogether and rent instead because they save money on maintenance, tires, insurance (contact us to learn more). If you love changing cars every 4 months or so, then you will love our deals. Rental cars for winter, 4X4 / SUV rental for rugged terrain or Jeep Sahara or Minivan rental for summer. For spring and fall, try different models all at low rental rates. Then don’t commit to long-term lease, rent instead. Even if it is a few dollars more, you can walk-away at any time. No need to find and beg someone to take over your lease or sell your car. Flexibility is king. Our monthly rentals come with a very generous 4,000KM/month allowance. That’s 48,000/year – lots of worry free driving. Most leases come with 18,000KM/year or 24,000KM/year… anything over that becomes extremely expensive. So if you do a lot of driving, this is your perfect solution! If you are an expatriate yourself or a relocation service in Montreal, then we are a great fit. We hold expats hands from meet & greet at the airport to a dedicated account manager to answer all your automotive needs 24/7/365! Many people have a summer car that they store for the winter and need a cheap car for the winter or an SUV. This is the best way to get the best of both worlds: your own dream car for summer and a safe and reliable new car rental for winter.